Join us on 2/2 for a special all-ages Valentine's Day make & take event! 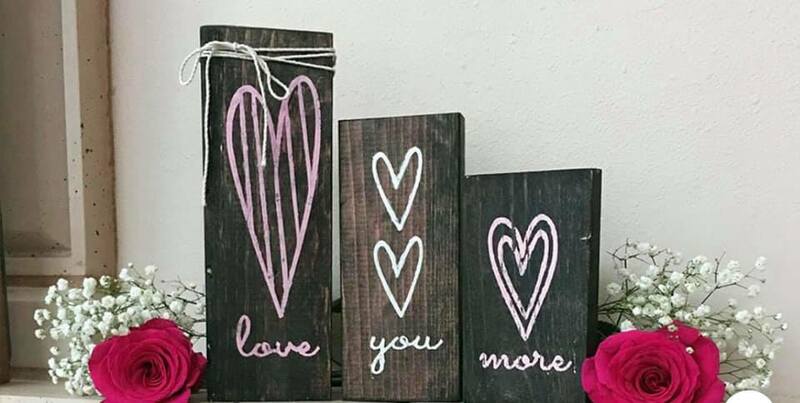 Stencil your very own Mini Love You More Trio, XOXO or Love sign for just $15 and come see what B&b is all about! We're offering 30-minute sessions throughout the day to make your own Make & Takes and they won't last long!